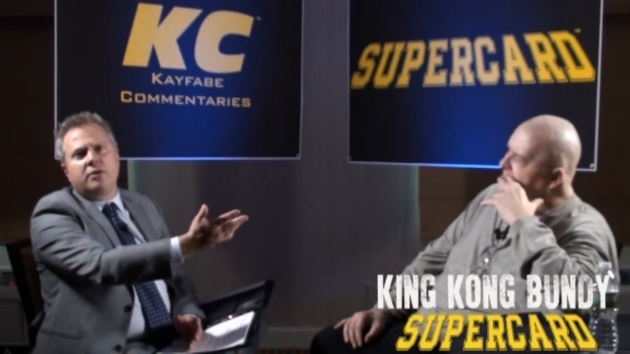 Kayfabe Commentaries is home to the most unique and original shoot interview series on the market today. 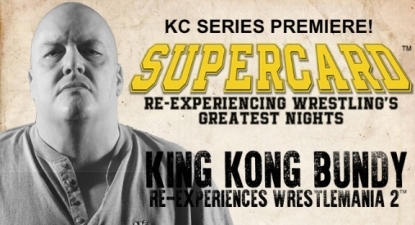 KC’s newest series, “SUPERCARD”, is as ambitious as it is unique. This historical shoot interview series tells the inside story of some of wrestling’s biggest events through the eyes of those who topped the cards. 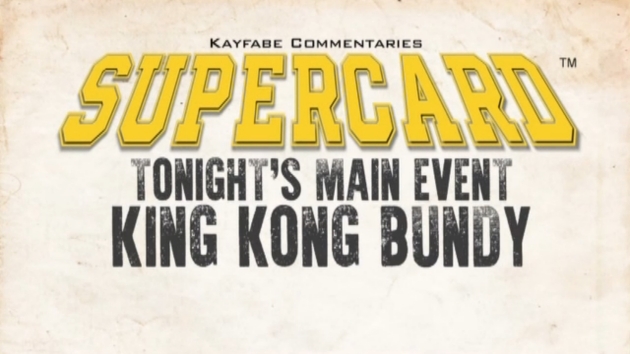 In its debut, “SUPERCARD: WrestleMania 2”, King Kong Bundy is drafted in to break down all things WrestleMania 2, an event Bundy headlined with Hulk Hogan in a steel cage match for the WWF World Heavyweight Championship. The interview is broken into five distinct parts: “the background”, “the opponent”, “the angle”, “the shot”, and “the aftermath”, with Bundy covering all things WWF leading up to WrestleMania 2. From the start King Kong Bundy is honest, straight to the point, and surprisingly funny. This being Bundy’s third appearance in a KC release (Ring Roasts I: The Iron Sheik and Ring Roasts 2: Terry Funk) his familiarity and comfort with Sean Oliver is evident and is one reason this DVD turned out to be as strong as it is. Beyond that, Bundy freely admits to enjoying shoot interviews, finding it cathartic to open up about the business and to dish on those he disliked. As Bundy tells it, the seeds of the now infamous WrestleMania 2 main event were planted by a chance meeting in Japan in February 1985 when Bundy and Hogan, who knew each other from Bundy’s first run in the WWF in ’81, wrestled in a non-title match for NJPW. After a good word from Hulk, Bundy met with Vince McMahon and was soon working with some of the biggest stars in the WWF like Big John Studd and Andre the Giant. Bundy’s opinions of Hogan as a worker are fascinating, offering keen insight into Hogan’s professionalism at the time. Bundy pulls no punches about why the “9-second” match at WrestleMania I was a disaster, why Andre the Giant disliked him, and about not realizing how lucky he was in 1985 to work with Andre and be one of the few, with the help of Big John Studd, to take Andre out. Bundy says he didn’t recognize that Andre was giving him the rub, setting him up for the coming program with the “Hulkster”, a program, Bundy recalls, that nearly went to Randy Savage instead. Perhaps the most interesting aspect of the entire Hogan/Bundy story is the fact that the WWF essentially sold the big title match on a single angle from February ’86’s Saturday Night’s Main Event V. As Bundy explains, Hogan was so over and seen as such a hero that the story of a single attack and Hogan’s comeback from it was enough to bring fans to three different arenas in three different time zones to watch “Hulkster” get his revenge. The angle, which scored a 10.0 rating on NBC, was an early defining moment in the ’80s “golden era” of the WWF. In terms of the event itself Bundy walks us through what it was like to work a big show in the WWF in that era, what was expected of the talent the week of the show, his thoughts on the celebrities involved, and the media’s presence (or lack thereof). 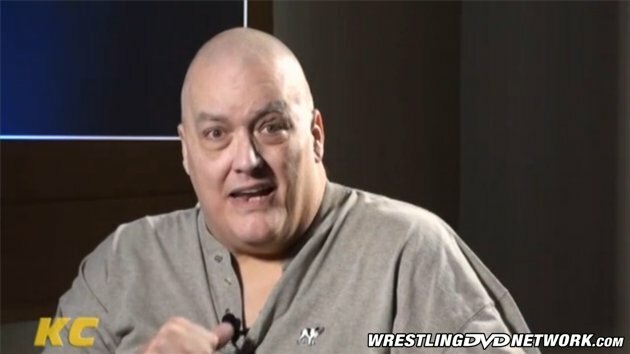 Bundy opens up about the locker room, who was cool and who wasn’t, why he feels he could never play the political games inside the WWF, and what it was like to be “one of the boys”, including going along with “mean” ribs to stay on the good side of the likes of Dynamite Kid! Clocking in at 1 hour and 59 minutes, “SUPERCARD: WrestleMania 2” is an intriguing, fascinating must-see for fans of ’80s wrestling. 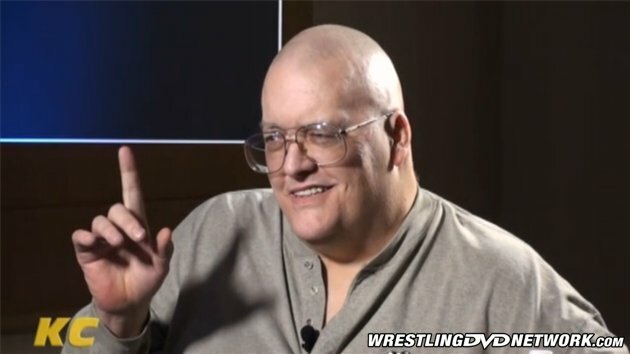 This obviously isn’t the standard shoot interview, so if you’re looking for a career-spanning shoot interview with King Kong Bundy then this release, unfortunately, isn’t for you. But if you’re looking for a no-holds-barred examination of the booking, the stars, and the wacky ideas of the day, then this most definitely is for you. 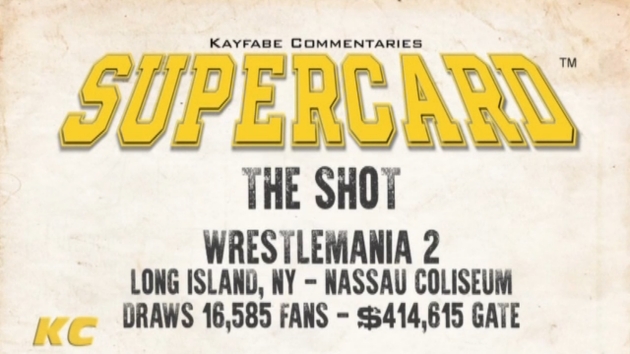 Pick up your copy of “SUPERCARD: WrestleMania 2” now at KayfabeCommentaries.com. You can own it as standard DVD and digital download, or it can be streamed instantly On Demand.